American liberals have some shameful things in their past. But what about the conservatives? On Sunday the New York Times ran a remarkably ill-informed reviewof Radicals for Capitalism: A Freewheeling History of the Modern American Libertarian Movement by Brian Doherty. If that's the sum total of embarrassing libertarian moments, it's a pretty darn good record over 70 years or so. Modern liberals have to deal with the fact - not an embarrassing fact but a shameful one - that many of their forebears supported Stalin and the Communist party, or were at least fellow-travellers. As for conservatives, I could mention their long resistance to liberty and legal equality for blacks, women, and gays, but instead I'll just say: George W Bush and the Iraq war. In 70 years, libertarians have done nothing to compare to expressing support for limited constitutional government while also supporting Bush, his disastrous war, and his accumulation of unprecedented presidential power. And I concluded: "No book is perfect, nor is any movement. But contra Leonhardt, Radicals for Capitalism is going to be the standard history of the libertarian movement for years to come. And it tells a story libertarians can be proud of." 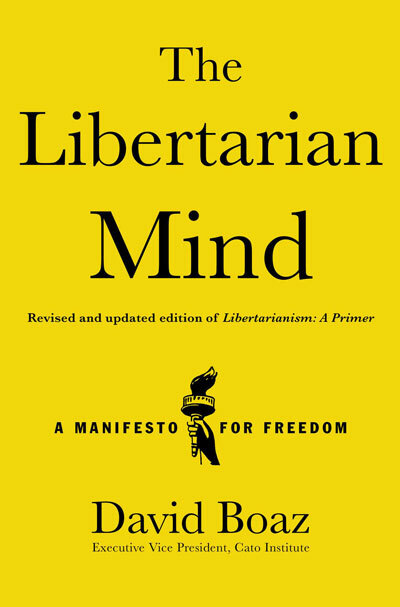 The book is about the American libertarian movement, which will obviously reduce its appeal on the other side of the Atlantic. But it's a fine work of political history.